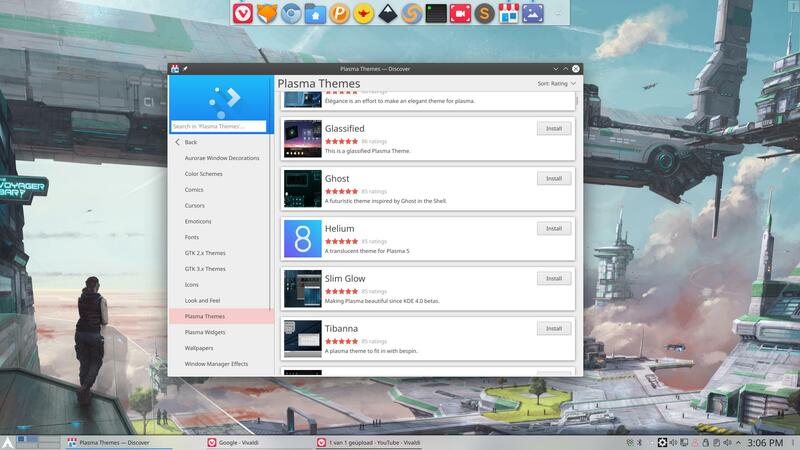 There are lots of themes but are any of them ‘good’ and will they work on Plasma is a common question. I suggest you google around and see what themes pop-up and see if you like them at all. We decided to give Helium a try and will install it together. and then it will come available in the system settings of Plasma. In this article we have installed Helium manually from kde.store.org.